Huaibei Store is situated at the bustling intersection of Huaihai Zhong Road and Meng Shan North Road, the city's core business center with superior geographical benefit. The store has total Gross Floor Area of 34,714 sq.m. 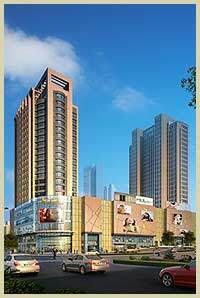 and the design of the building is modern and fashionable with comfortable shopping environment. The store was in trial operation on 20 November 2010 and it is the largest floor space, the most high-end and the most fully equipped local department store. As at 31 December 2018, the GSP of Huaibei Store reached RMB342 million in the full year.